There are few figures in movie history as simultaneously enigmatic and significant as Terrence Malick. A philosophy graduate from Harvard, Malick released just 5 films between 1973-2011 every single one of them masterpieces. 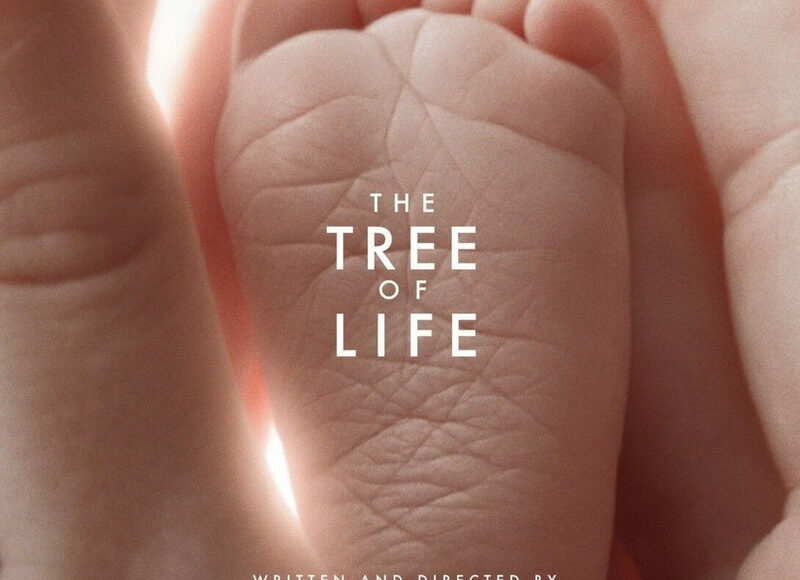 Tree of Life was a film that Malick supposedly began working on in the decades before its release. It was awarded the Palme d’Or at the Cannes Film Festival, the most prestigious award given to any film. The coming of age story of a boy named Jack from birth to death all placed within the context of his relationships to his family, his world, and his Creator. Tree of Life begins with a quotation from Job 38. What follows that quotation is essentially the visual artistic representation of those verses. Somehow in the matter of a few hours Malick is able to ask almost every question about God and life imaginable. The film is quite unconventional, and if you are new to Malick, it is wise to approach the screen with an open mind. There is no conventional plot to speak of, little to no dialogue, a combination of metaphor alongside reality, and many more elements that challenge the viewer at best. It’s clear that Malick is less interested in telling a story as he is to give you the sense of an idea. Think of how you would read a novel with subtext versus reading a poem with the same overall message. It’s an unbelievably rewarding experience, if you can get past the initial shock. The film follows a boy named Jack through various moments in his life. We see him from birth through his formative years in a small Texas town in the 1950’s, played with tremendous force by Hunter McCracken, as well as an adult, played by an introspective Sean Penn. We see interactions between Jack and his parents at each of these stages of life, played exceptionally by Brad Pitt and Jessica Chastain. Jack’s relationship with his father and mother is clearly meant to represent the inherent dichotomy of nature, represented by his father, and grace, represented bu his mother. Every moment in Tree of Life contains these moments where we are witnessing something happening to the characters which is enlightening and interesting within the context of the narrative itself, but there is always something else also happening on a theoretical level where everything character and action is meant to represent something else. Neither perspective is more important than the other in the film, both merely coexisting. At one point in the story Jack finds out some bad news involving his younger brother and when the film asks, “Where is God in all of this pain,” the film takes a mind-blowing deviation to try and answer that question in the vein of the Book of Job. If there is a film in existence with more achingly beautiful cinematography, I’m not aware of it. Longtime Malick collaborator, Emmanuel Lubezki, deserves a large share of the credit for any successes of the film. In what has come to be known as the “Creation Sequence,” practical and digital effects combine to create something so ethereal your mind soon lets go of the “how did they do that?” and moves on to the “why do I exist?” type questions. It is a shame that special effects legend, Douglas Trumbull, is not more well known than he is. His mark on the history of movies has been blowing people’s minds for more than half a century and he is still doing it. In the scenes featuring individuals, you get the sense that many of the moments in the film were “happy accidents” to steal a line from Orson Welles. It feels as if the camera just happened to be rolling with perfect light while the characters were in costume to capture a tiny moment of pure naturalistic joy in the form of a butterfly that happens to land on someone’s hand. In watching the bonus material on the Criterion BluRay edition of the film, you find out that’s exactly what happened. In speaking of that particular release of Tree of Life, it was my strong opinion for years that the original theatrical release of Tree of Life was pretty much a perfect film in my eyes, an opinion that I still hold to today. This year the Criterion Collection released their edition of the film that includes an extended edition “Director’s Cut” of the film that is somehow better. How does a perfect movie get improved and still retain its original perfect status? I have no idea. I just know that it’s true. I have never come across a piece of art that is at the exact same time so personal, introspective, and small while being so epic, universal, and grand. Make no mistake, Tree of Life is a difficult film. I’d also argue it is perhaps the most rewarding film anyone can wrestle with if they would like to become spiritually enlightened through cinema. I believe that statement to be true regardless of whether you find that you like it or hate it. Simply asking the questions thatTree of Life forces you to ask are phenomenal questions worth asking. It just so happens that the same type of questions God asks Job, Malick is also asking of us. Film is one of the most complicated mediums of art that have ever come into existence. While certainly novels, music, paintings, or photos are most definitely art forms, film is unique in that it is a combination of all of these. Story is inherent in most films, whether it be obvious or not. Music and sound, in general, or even lack thereof in the case of films like No Country For Old Men, are used in films to do any number of tasks such as create a mood or help explain a facet of the story. Photography perhaps is the most obvious art form used in film, but is often not thought about within the confines of artistic photography as opposed to simply pointing a camera in a certain direction and pressing the record button. A good film tends to do at least one of these things well. Perhaps a film is considered good because the story is engaging and entertaining. Some films, especially musicals, tend to be good films solely dependent on whether or not the music is good or not. Even if a movie does not do either of these things well, excellent photography oft times can save a film if it is simply pleasant to the eye. There are plenty of good films that are good because of one or a combination of these aspects. What is rare in film is for these categories to rely upon one another. If a film is good because the story is excellent, it is sometimes better to read the book, since one can receive the story without having to look at or hear anything. The same can be said with photography or sound, since photos can be framed and sound listened to on any number of music playing devices. In the case of the films of Terrence Malick, reading a book containing the storyline of one of his films would be a terrible read, the photography, while excellent, would be lacking without the sound and story attached, and the sound would be quite confusing and perhaps boorish by itself. In every one of Malick’s films, each of these facets of film are completely dependent on one another in order for the art to work. This, in my opinion, is what films are meant to be; a unique art form that cannot be enjoyed or appreciated in any other way except for watching the film in its original format. Malick has been successful doing this in every film he has directed. From Badlands to Tree of Life, Malick has created a pure form of filmmaking that requires one to sit through his films to experience their genius. Any single aspect of the film pales in comparison to the whole. This puts Malick in the upper echelon of the great directors of all time. While an argument could be made that others such as Orson Welles, Jean Luc Godard, Stanley Kubrick, or Francois Truffaut were perhaps more innovative or more groundbreaking in their day, an argument I would not attempt to make myself, I cannot think of a single filmmaker still living who is in the same category as Terrence Malick. How aware am I of the limitations of my own thinking? If it’s possible that I don’t know everything, then why am I befuddled when I encounter something that I have no explanation for? How comfortable am I with mystery? What are the things in my past that trouble me to this day? What is the health status of my relationships with others?